Blockchain-powered business and enterprise solutions offer a very compelling answer to the problem of streamlining secure interactions across business partner networks. Enterprise interaction is often beset with inefficiencies, costing companies billions of dollars in unnecessary documentation and processing, not to mention inherent distrust between supply-chains in many industries. 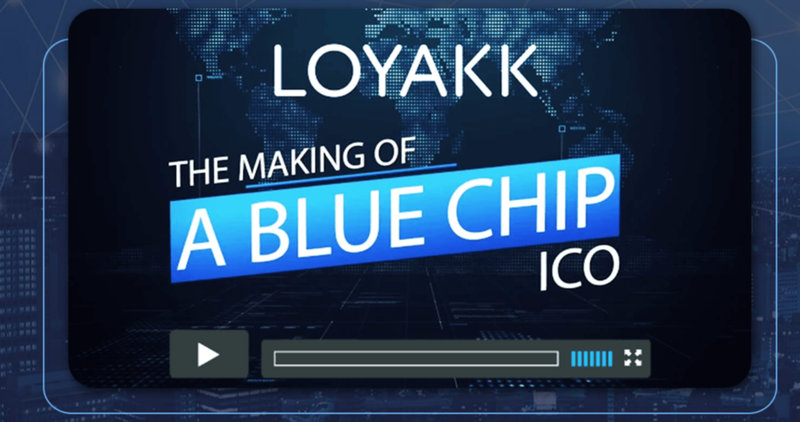 Loyakk plans to create an ambitious platform based on the vision of building a decentralised and efficient Enterprise Application Space. They aim to transform how businesses transact and interact across their entire ecosystem of partners, customers, supplies and vendors through their Enterprise Relationship Management services. Loyakk recently secured Venture Capital Investment ahead of its Token Sale. Loyakk offers both a Vega Enterprise Relationship Platform and expansive Native Utility Token – LYK. The Enterprise platform consists of 4 main layers and solution expansions. A Blockchain Core Services Layer (Ethereum-based; with Patent-pending adaptive Nested nodes) – which facilitates ID management, Smart Contract management, Event Monitoring, Data and Workflows and Oracles, as well as using the Loyakk Index/Beacon Token. The second Business Services Layer providing – Content Services, Messaging, Contract Management and Business intelligence. This is followed by the third Relationship Management Layer, consisting of – Relationship Modelling, Orchestration, Analytics and Permissioned Experience. Finally, the Application Services Layer – providing Customer Engagement, Partner, Channel, Vendor and Distribution Management. The Vega Enterprise Relationship Platform provides a complete business services and enterprise suite, making full use of their native and advanced utility token – LYK (Loyakk token). LYK is required for all transactions across all Loyakk-powered private business networks within the suite. The token carries data, enables critical functions throughout multiple permissioning levels, and controls the propagation of data amongst business participants, providing full auditability across company boundaries. 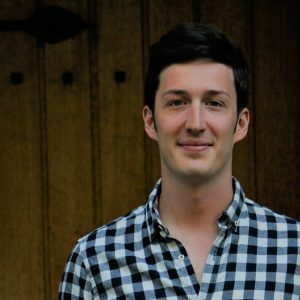 The team at Loyakk embarked on their roadmap in 2017, and have consistently hit targets. Below is a snapshot of previous, current and future milestones. Goals for 2018 include token sale and V2 of their platform. For 2019, customer acquisition and pilot industry solutions. 2020 – Partner ecosystem and industry solution expansion. Base platform V1 built, with lighthouse customers and Token Sale preparation. Token Sale reconciliation, V2 platform release, Lighthouse customer acquisition. Technology partnerships, launch industry packages. Platform Blockchain API launch, continued customer acquisition, platform extensions. Scale partner GTM and launch partner program. V3 platform release, pluggable functional modules and blockchain infrastructure upgrade. Solution templates and content libraries, global industry networks defined. Additional industry packages and network enrolment expansion. The team responsible for the development of the Loyakk utility token and business enterprise ecosystem project and demonstrate a forward-thinking and professional outlook. Salim Ali (CEO and co-founder) – a frequent speaker on Blockchain and its impact on Enterprises, has been instrumental in defining Loyakk’s framework and the resulting business solutions. Prior to Loyakk, Salim conceived & scaled multiple new businesses with revenue KPIs of $1.2B. Jitu Telang (CTO and co-founder) -has over 25 years of experience in technology spanning enterprise applications, data mining, financial trading and blockchain. Past experience includes development of automated High Frequency Trading models in Equities, Currency, Futures and Options covering US and International markets. Other notable Core Team members include Tsvetan Georgiev (Blockchain Technical Architect and Development Lead) and Jimjees Abraham (Blockchain Solutions Architect). The Loyakk team also have an impressive and enviable roster of Industry and Blockchain Advisors. Of particular note is Anthony Thomas (Global CIO of NISSAN MOTORS), Patricia Hatter (EX-CIO at MCAFEE), Jonathan Becher (SAN JOSE SHARES/EX CDO) and Erwin Rezelman (CTO at ZURICH). Loyakk ltd and Istrategies Ltd are both based in London, UK and are the originating companies of the token sale. The privately structured companies therefore come under the jurisdiction of the United Kingdom and relevant financial regulations. Management and development of the enterprise network and utility token will therefore be facilitated by the Loyakk ltd.
Business interactions have been beset with inefficiencies for decades. Permissioned blockchain technology suites and systems offers a substantial advantage and potential cost-saving. The technology can be deployed so that businesses and relevant customers and partners can interact on an all-inclusive enterprise level. Securing Venture Capital funding before their official Token Sale demonstrates a positive vote of confidence by industry experts, something which is further validated by the impressive roster of leading heads of business acting as advisors. The LYK token is necessary to facilitate all value transactions and operations on the network, propagating control sharing, permissioning access and providing provenance for record keeping. The token therefore has inherent utility value within the enterprise solution. It is no secret that enterprise solutions and platforms can become extremely valuable when successfully deployed. Blockchain technology has already been highlighted as being able to provide significant structural savings in many industries. If Loyakk are able to capture a significant proportion of the B2B enterprise market solutions, then their product suite will attract significant revenue and further investment.